Inject some style into your wardrobe with this shirt from AND. It has been tailored with care using a good quality fabric so as to ensure your comfort all throughout the day. 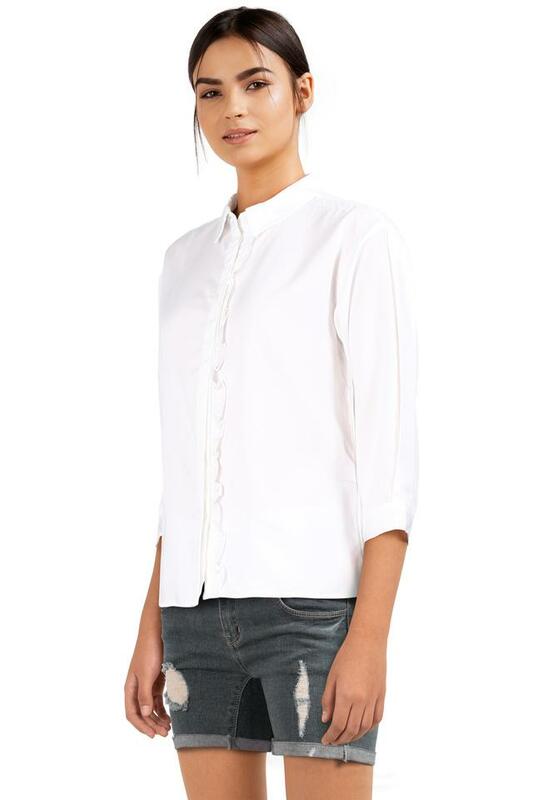 Moreover, it comes with a solid pattern along with a collar and three quarter sleeves that accentuate its overall appeal. Add a feminine print to your occasion wardrobe with this shirt. 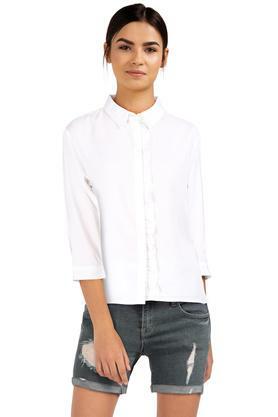 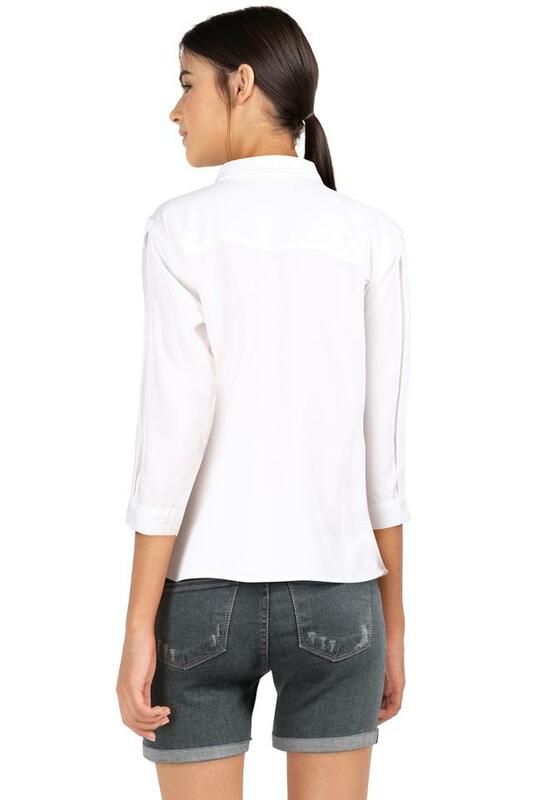 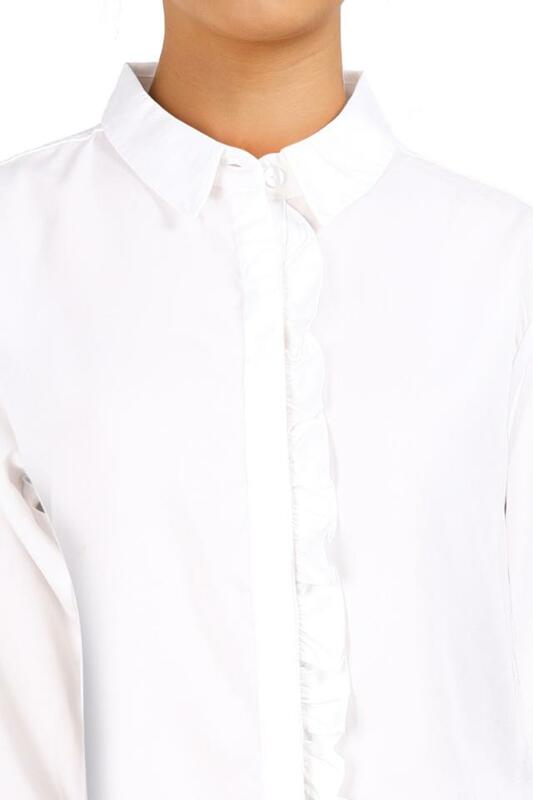 Team this shirt over a pair of skinny fit jeans and strappy flats.